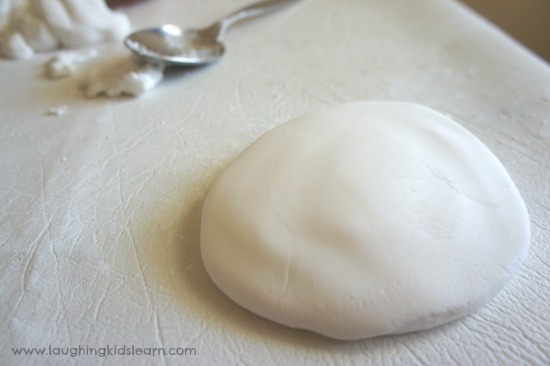 I’m very excited to share with you how to make silky and stretchy playdough. It’s wonderfully soft, much like touching a cloud, and can be super stretchy for added fun for the kids. You also only need to use 2 ingredients to make it so it’s really easy. Possum (aged 2.2 years) loves playdough and will often request it when the weather has us stuck indoors. I’ll usually use my classic play dough recipe, offer her a few bits and pieces like cutting tools etc, even knead in some delicious fragrance to add to her sensory experience. 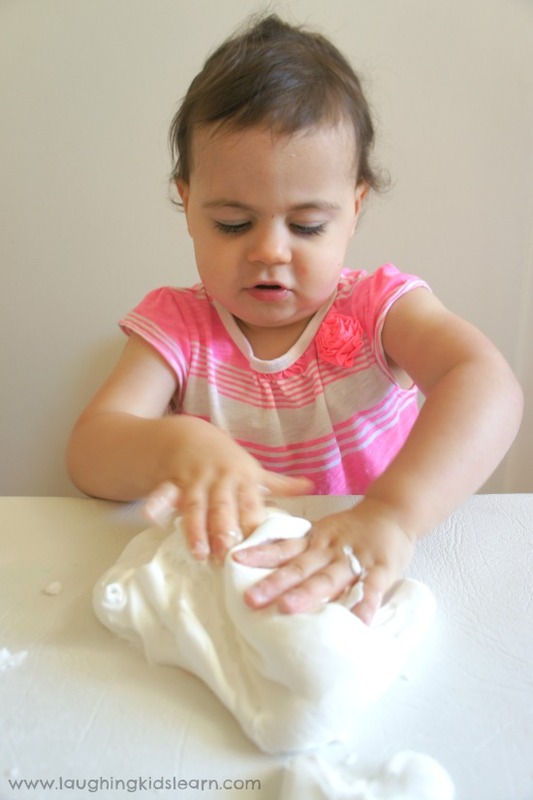 I have to admit though, this silky and stretchy playdough is nothing like what I’ve made her before. This is a thousand times better. It’s wonderfully soft to touch, stretchy and fragrant. I’m sure you’ll love it as much as we have. It really is very easy to make this recipe. I simply went to my local supermarket and got myself some cheap hair conditioner. This recipe calls for 1 cup of hair conditioner. Next I simply needed to open the kitchen pantry and find cornflour/cornstarch. This is what gives it the dough consistency and by adding 2 cups of it to the conditioner after a good knead it becomes lovely and soft, silky and stretchy. Obviously conditioner, cornflour and cornstarch can vary between brands and from country to country. If you find your dough crumbly then add a teaspoon more conditioner and knead it through well. If it’s too damp and sticky, add a teaspoon more cornflour or cornstarch. You may need to tweak the recipe slightly to suit the ingredients you have. Possum loved getting involved in the making of this incredible play dough. 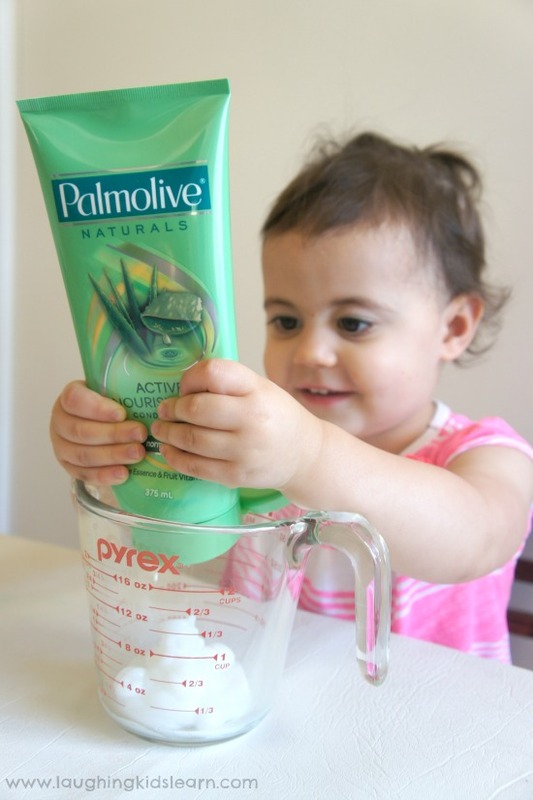 It was a great change for her to squeeze the contents of the conditioner out of the bottle with her little fingers and talk about measuring it to the specific line. 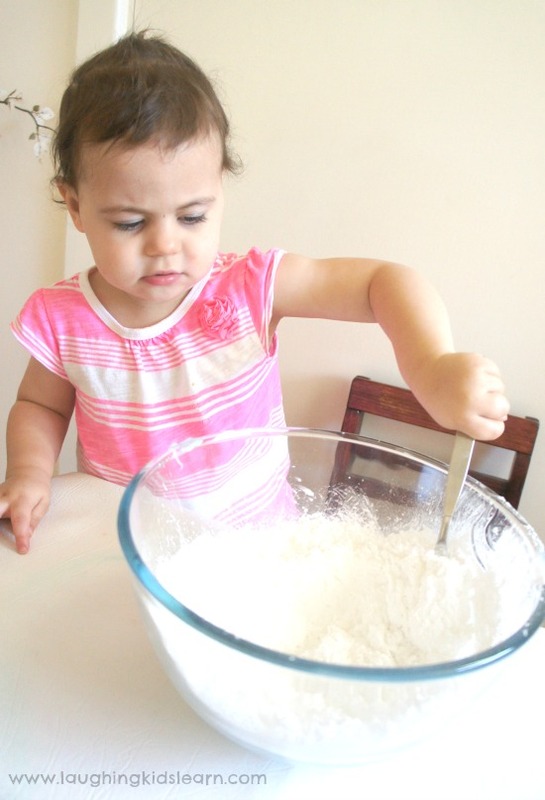 Adding the cornflour into a bowl with the conditioner gave her the opportunity to use those larger arm muscles and mix the 2 ingredients together. After about 1 minute of kneading, the two ingredients come together to make the most incredible silky and stretchy playdough you can imagine. Of course you could divide the play dough and add a few drops of food colouring, however, I loved the silkiness of the stark white. This play dough was perfect for little fingers. Possum loved poking deep soft holes into it and folding it over itself. Some common recipes can make quite stiff play dough, however, this is lovely and soft, leaving a gorgeous fragrance from the conditioner. 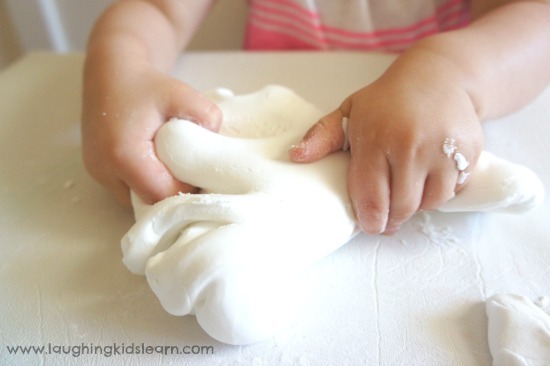 This 2 ingredient play dough is so easy to stretch, perfect for those children who simple enjoy exploring the texture of this play dough, rather than making figures etc. This play dough does hold some shape, but because of it’s soft nature it is best manipulated to create 2D shapes and figures. Gorgeous! This lovely play dough can be kept for a number of weeks, depending on how well it is stored. I recommend, like with any play dough, wrap it very tightly with a few layers of cling wrap and store it in an air-tight container out of direct light. Obviously the more exposure it has to air the quicker it dries out. For something a little more interesting you might like to add coloured glitter to your child’s play dough experience. Possum loved squashing in the glitter and folding it through itself. 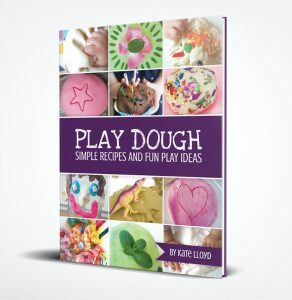 But like I said, this is a really lovely form of playdough that you can easily make at home. The texture you really need to experience for yourself. 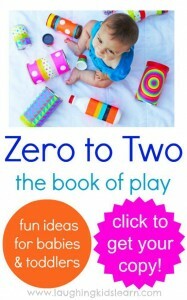 It’s wonderful and it will have your child playing for hours and asking for it again and again. What sort of playdough does your child like? Warning : Please be careful which conditioners and shaving creams you choose to make these 2 products with as each may contain ingredients that can cause skin irritations. BRILLIANT. What a great idea! Would be wonderful for a kindergarten group. Can I put food coloring for color? I’d just add a few drops. You might find you need to add a little more corn flour to balance it. Hi..luv it! 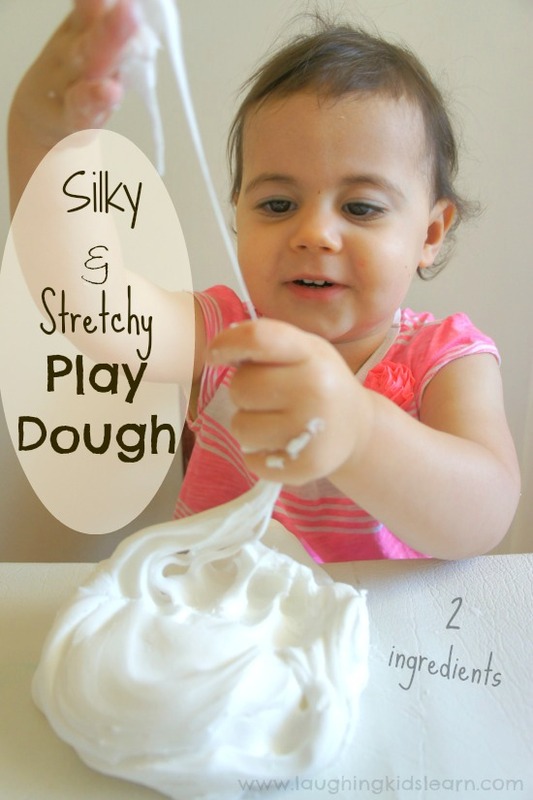 Just wanna ask.can we play with the dough again and again (play many times)?does it stay soft n stretchy? How would you store this play dough? Thanks for your question Lauren! Like any play dough I wrap this really tightly using a cling wrap. Even better if you can then store it in an air tight container. Have a great time playing! Hey I tried this and It did NOT work. Is there any reasons why it might not work because I even followed the recipe exactly. Hi Marlie! Sorry it didn’t work for you. Was it too wet or too dry? If too wet add increased small amounts of corn flour, if too dry and crumbly, knead extra well and add increased amounts of conditioner until it comes together. All ingredients can respond differently so you may need to tweak the recipe a little. Let me know how you go. Looks great, but it cant be good if it gets eaten? No, it isn’t going to be good if eaten. It’s important to always actively supervise children at play. This loons wonderful! 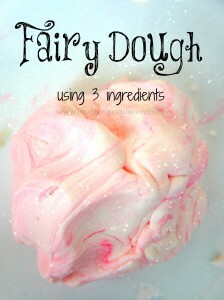 My kids love play dough, cloud dough, ooblek and slime so can’t wait to try this version out with them!! If you add enough cornstarch, shampoo does work. I just made some using baby shampoo/body wash to test it out. It’s not bad dough that way, but I can’t wait to get conditioner for this recipe. The other is a little sticky. Not sure, but I’d give it a try! Corn flour is the term used in Australia where I am located. I believe Americans say cornstarch. We have liquid conditioner in a bottle. Is the type you used thicker? 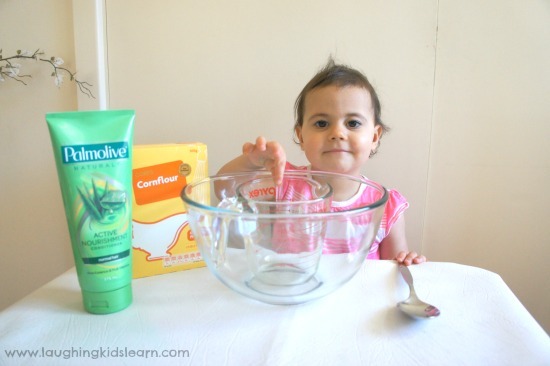 Have a look at the photograph in this post and see what the conditioner is like. It’s quite thick, it can basically stand up on itself. I don’t know about using liquid conditioner. You could give it a go but I would imagine it wouldn’t work out as well. See if you can find some cheap conditioner at the supermarket. I’ve made this recipe twice and although it is so soft and silky and smells awesome, it did not last. It got very crumbly and I had to throw it out. Any suggestions? Unfortunately much like your typical play dough, exposure to air will begin to dry out the dough and cause it to crumble. You could try and add a tablespoon more of conditioner and see if that helps bring it back to the consistency you like. When storing it be sure it’s wrapped really tightly and without any air pockets. Thanks Rivki. That was our experience too. I tried it after seeing it on another site last year and I was disappointed. We make all kinds of homemade doughs but none have ever gotten so dry and crumbly so fast (even while my kids were playing with it) and then it quickly made a mess. I really didn’t think there was a different CiCi. I know here in Australia it is called Cornflour but I think Americans call it Corn Starch. I think you’ll find my measurements may be slightly different to what you’ve tried in the past and hopefully that makes it stretchy for you. Best wishes. I used corn flour and there is zero stretch. In fact it was so sticky I decided to add some oil to stop the stick. It did the job but there is still zero stretch. And by the way I added the oil only as a final try after trying to add more conditioner and/or corn flour. No matter what I did there was zero stretch. Sorry to hear that Jo! If you had the patients to try it again I’d add a teaspoon or two of more corn flour. The corn flour will stop the stick and increase the stretch. Good luck. I found this to be the perfect texture for stuffing into balloons. My boys (3 and 4) grip them over and over to release frustration, but they are great at building hand strength, too! This is such a simple recipe! I will be making tomorrow. Pinning as well! Super simple Clarissa. It’s hard to believe it makes such a fabulous recipe. Have a great time playing!! Hi there! Just came across this on Pinterest! I love love LOVE this idea! 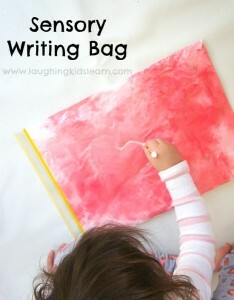 I hope to try this out tomorrow with my little ones. Just a little nervous with my youngest (1.5) she likes to taste things… I am going to bookmark your page, great posts! Hi Melissa. 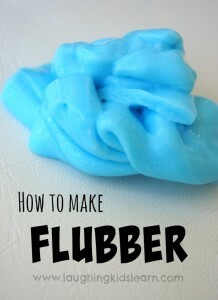 This was such a fun play dough for my little girl to play with. Yes, you do need to be careful with little ones who like to taste things as this is not an edible recipe. I would jut suggest to be nice and close to her during play so you can remind (and stop) her if she’s thinking to give it a taste. Have a great time playing!!!! Hey, thank you for this great but simple idea! Marlena is 13m now and I think I’ll give it a try. But can I use potato-starch instead?? Have a fabulous time Bec. My daughter and I made this today and loved it! Thanks so much for the fab idea. It works!!!! I am so happy 😀 I tried similar recipes multiple times but never succeeded. They were all a combination of corn starch, shampoo/conditioner and water. I always asumed the water was causing it to behave too much like oobleck and being the reason for not giving stretch to it, but never tried it without water. Just before starting with your recipe I realised it didnt have water to it. And this recipe WORKS! Kids are in bed but this stretchy play dough has been played yet (by me). Thanks so much. Thanks for sharing that interesting info about the science behind it. I had no idea! Feel free to link back to my blog, since it was your inspiration. Great job. I just tried it and it’s not silky smooth for us. Did I add to much cornstarch or something? It’s clumpy and falls apart worse than play dough. My apologies, it may be because you are using a different brand of cornflour to me. I hope you were able to add a touch more conditioner to get it balanced and at the right consistency. I made this with my preschool class this week and they LOVED it! We have been playing with it for four days now, and none of them have lost interest in being at this center. We used Strawberry scented conditioner and then added a packet of strawberry Kool-Aid to the mixture to give it extra color and an awesome scent. It started out extremely sticky, but the more it was kneaded together, the better the dough became. After the first day it became quite crumbly, but the more we played with it, the dough went back to its stretchy consistency. My preschoolers named it “bubblegum play dough” because it is stretchy like bubblegum (and looks and smells like it as well). I loved seeing how fascinated they were just watching it stretch from their raised hands down to the table. This recipe is going onto my list of activities to repeat. Thanks for the idea! I too had a problem with the consistency being super crumbly and clumpy. Then while my son played with it I worked a small piece in my hand and it came out great. The warmth of my hand pulled it all together. It is winter and admittedly my house is a bit on the cool side. I warmed up the dough a little and it came together perfectly. Once it cooled when we left it alone it was super crumbly again. Is there a difference between corn flour and cornstarch because I only have cornstarch. What a little Cutie Pie you have there! Cant wait to try this one out seem so much fun. Do u think the recipe would work if i added food colouring to different parts to make it even more fun?? Just made this today with my twins and we LOVED it! Thank you! I am just in love with this recipe! I have made this with my little 3 year old and so far she has been having lots of fun! We will need lots more soon I’m sure. Thank you kindly for this amazing recipe! Just made this with my 8 year old and 2 year old and they now declare that mom rocks!!! It was a GREAT success, thanks so much for being so innovative and inventive. And thanks most of all for sharing! Hi CrazyEyes! I’m so pleased your daughters enjoyed this activity. We made and played with this inside and without too much trouble, but all kids are different. I’m sure the fun factor makes any mess seem worth it. 🙂 Thanks for your comment CrazyEyes. I just made it but may be i have done something wrong its not strechy not keeping its shape 🙁 shall i mix for conditioner or more cornflour? Hi Ananya! Thanks for your comment. Unfortunately every conditioner and cornflour acts slightly differently so it might be a case that you mix a teaspoon or two in the mixture OR sprinkle a little more cornflour. Be sure to knead it really well. I think that is often the secret! 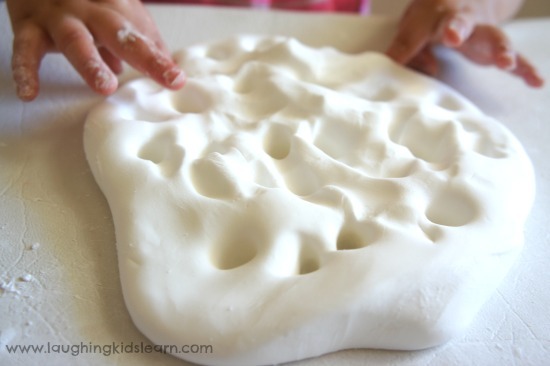 This did not work for us….was a HUGE sticky mess and we used up all our cornstarch. Sorry to hear this didn’t work for you Nicole. Many others have had great success but I’m sad to hear your experience hasn’t been so great. Extra cornstarch would have solved your problem so it was unfortunate you didn’t have any extra on hand. We made this play dough this morning and it was wonderful! The conditioner I bought wasn’t as thick as in the pictures, but it worked just fine. I did add much more cornstarch though. It was closer to three cups. I found that adding the cornstarch a little at a time and mixing it in thoroughly after each addition helped us find the right texture. I’m Canadian, but I imagine that our cornstarch is closer to an American product than an Australian one! Whether or not there are any differences, it worked for us! And thank you for sharing the idea! It’s definitely a new favourite! I think this was an amazing play medium! It was ooblek-like without the super mess. I tried the 2 parts powder to 1 part conditioner and ended up with a chowder like consistency. I just kept adding powder and mixing (with my hands) until it didn’t stick to my fingers any more. I love the texture! My 8 year old twins and my 2 year old are pulling and stretching it right now. I think the ratio ends up being closer to 4 parts powder to 1 part liquid. I think I may try this with cheap baby lotion, next. Any thoughts? Oh wow Sarah! Ill have to give it a try. Thanks for your comments. I tried this with wheaten cornflour and it didn’t work, but when I used pure corn cornflour, it did! Just made this for my 4 year old daughter, and she is loving it! I doubled the recipe in case her older brother (10 and diagnosed with PDD & Cognitive Disability) decides to join in. It was perfect because I had just found some outdated Cornstarch in the pantry. But I do have to say, 2 cups of conditioner is alot! And all we had was some cheap, heavily scented stuff! Whew! Our house smells very perfumey!! It’s good to know that even outdated cornstarch works well for this play dough. What a fantastic way to use it up and get the kids playing. Did you colour it or leave it white? I am from India.. we generally make Roti / Chapati for dinner, which is made of wheat flour or sometimes with all purpose flour mixed with water.. My 1.5 yr old son takes a bit and starts making different shapes out of it.. That was his play dough till date.. and this is edible too.. But it isn’t re-usable and gets dried out in a short span… I loved your recipe.. will surely try it out.. fingers crossed that it should turn out well so i can re-use it. Thanks for sharing. Unfortunately you will find that this playdough does dry out as it becomes more and more exposed to air, just like any playdough does. I mine was an edible playdough but it is not at all edible. If you are wanting an edible kind stick to your lovely Roti. Hi, I don’t have access to corn flour or cornstarch here. Can I just use regular flour? Regular flour won’t work I’m afraid Angie. Sorry to disappoint you. Hi Rebekah! Thanks for your comment. I can’t actually be sure what made our dough so stretchy, possibly because I didn’t add the food colouring, which is different from the post shared by PFM post. Hi Jade! Thank you so much for sharing your feedback. It’s interesting to hear that you found baby lotion to work, how awesome!!! I’ll have to be sure and give that a try. I love that you created a wonderful play medium for children. My son is 23 but I can still pass this along to the district’s Pre-Kinder4 teachers. You are wonderful. Possum is really getting into the fun! Amazing dough. My recipe for making dough was one bread and 1 tbsp of German glue but I bet that your one is way better. Thanks for the recipe, by the way you have a very cute daughter. Thank you so kindly Neha! I wish you all the best with this fabulous recipe and I appreciate your kind comments about my little Possum. Hahaha thanks Jonco. It was clearly typed late at night. 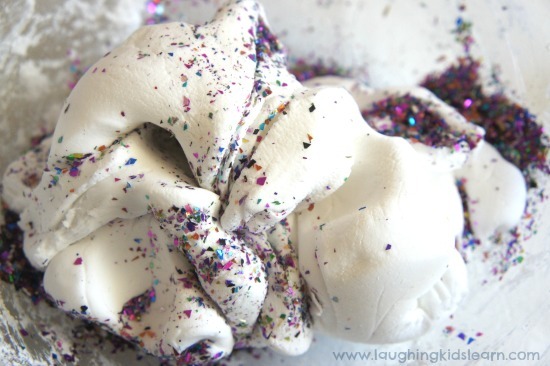 Just made this with Suave hypoallergenic hair conditioner and corn starch. Love it! I’m going to make some with a few students in speech therapy tomorrow. I added clear glitter. I live in Colorado. I just wondered if you have ever found something that was edible that gave playdough this consistency, thanks. I’d have to have a think about it Accsh. That’s a really great question. Leave it with me. Can you keep the playdoh? How do you store it? Thanks – i think we will have lots of fun! Sooo fun just did this with my 3yo she loved it! Consistency was better the longer she played with it. Kneading for sure helps. Thanks for great idea! 🙁 Did not work for us. I added at least 50% more cornstarch and it was still too sticky. The only conditioner I had on hand was “anti-breakage” so maybe that was the problem. Quite possibly. Sorry that the recipe didn’t work out how I described it but hopefully you still had fun making it. I’ve always used the recipe where you gotta cook it on the stove, but this is so much easier, so much quicker, a lot less fuss and safe for kids to do too. Thanx. SO pleased I can help you out Teresa. This recipe is a lots quicker and softer to play with. Enjoy! Just did this earlier today for my daughter 🙂 Great way to bond, my husband has been making cars and whatnot out of it. Best part is it keeps my daughter’s attention away from the gadgets and online stuff. 🙂 Thanks for sharing this recipe! That’s such beautiful feedback Caroline. Thank you so very much. I wouldn’t recommend it. Thanks Pia. Hello Mariah. 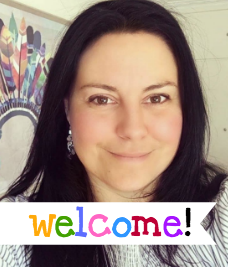 Subscribe to my newsletter and hear more about what we get up to at Laughing Kids Learn. I have made this before, and after storing in a zip lock bag (as much air out as possible) after a couple of weeks it got mouldy – yuk! So it went in the bin. I like the idea to use it as a balloon filler to make a stress ball though, that might work better. Made it! The white color is just so lovely! Oh V2, that’s SO WONDERFUL! I’m glad you really like it and just went with the lovely white colour. YAY! I tried it, and it worked out amazing!